I hope you all have had a great week, now its sunday I feel like this week has flown by! 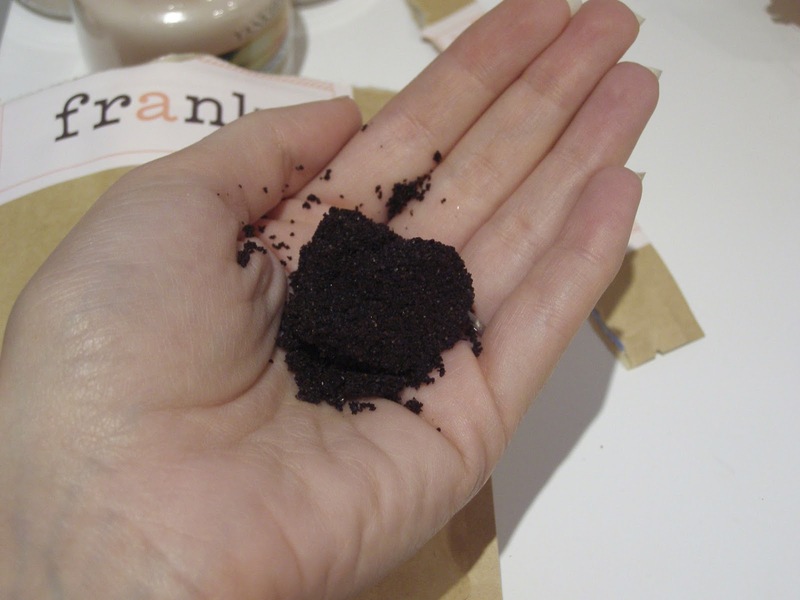 So last week I did a post on the Glam Glow Cleansing Face Mask, so this week I thought I would give you a great way to cleanse the rest of your body with Frank Body Scrub. I love finding new ways to exfoliate my body, as I love that fresh soft feeling it leaves you with after. As I was going through my Instagram feed I saw this Frank Body Scrub being used, and straight away I knew I had to give it a go. So I went to their website and instantly loved the site, it is quite girly which is probably why I like it so much. Also the way the site is set out is so simple and easy to use, and the language in which the descriptions and captions are written makes you feel as though it is Frank who is actually talking to you. There are three packages to choose from the Original, Coconut & Grapeseed and Cadao. 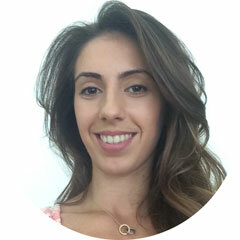 Each of these packages will target Cellulite, Stretch Marks and other skin conditions but they just contain slightly different ingredients, so it is a good idea to have a quick read of each to see what the differences are to suit you. I chose the original package so that if I liked it enough I would then buy the others. I love the packaging that it comes with as you wouldn't get this in your normal drug store like Boots or Superdrug. Whats also good is that there is a protective seal inside, so that once you have opened it you can seal it back up so the ingredients always stay fresh. When I opened the bag, I was instantly hit with the coffee/orange smell and looking inside to bag, it looks like it is ground coffee but there is so much inside. So I would say that it is defiantly worth the money as you would get a lot of use out of it. 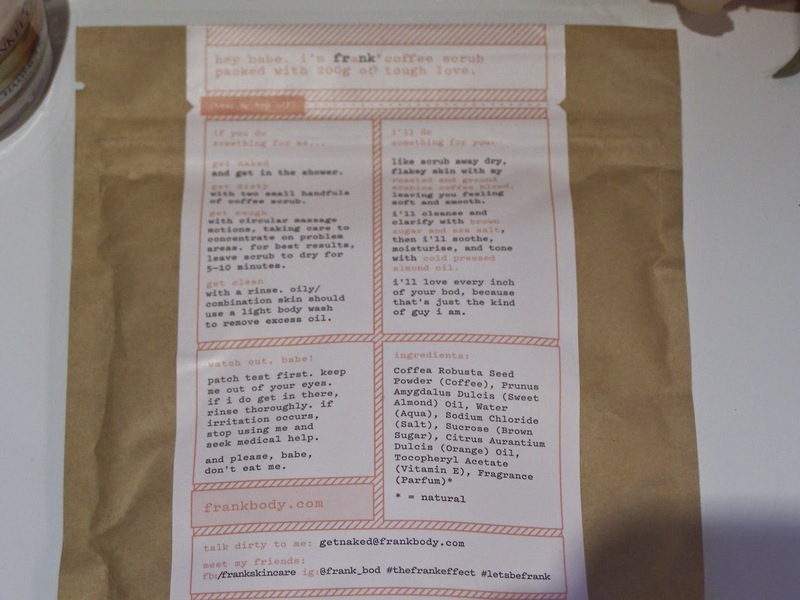 Now is the interesting part, actually using the Frank Body Scrub. Applying the scrub was interesting, as it is the consistency of loose powder it can be tricky to put onto some parts of your body but then thats the whole fun of it. I did manage to make a bit of a mess in my bathroom (oops!) so it is a good idea to get small amounts out at a time so you don't waste too much. After applying it all to my body I left it on for around 5 minutes, and then washed it off. It did take a while to get off my body but could defiantly feel the difference. My skin felt so soft when I had dried off and my skin also felt just as soft for a good few days after. 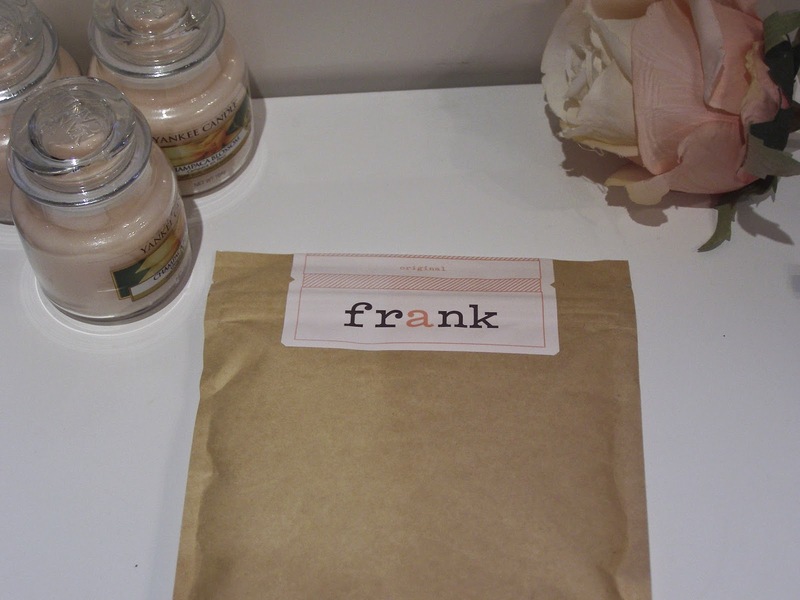 If you have used Frank Body Scrub original or any of the other varieties please?